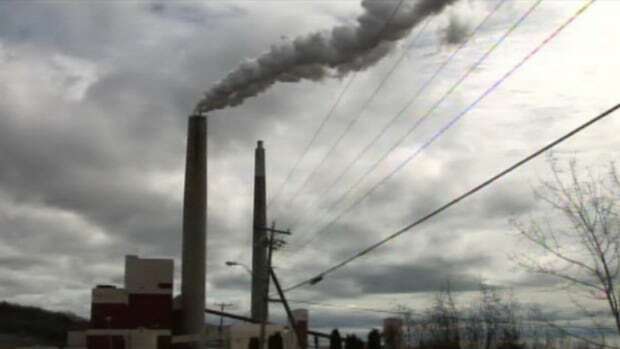 The smokestacks from the now-decommissioned generating station in Dalhousie, NB, were finally demolished today. It’s gonna be sad to a certain point because we give direction to people in and out of town. Where do I go and how do I find one route? Well, you just gotta have a look at the smokestacks in or out of town, and then you’ll find your way. Such attachment to industrial heritage and landscape has often been described in post-industrial England, but not often in ‘new world’ countries like Canada. There is a lot of infrastructure reaching the end of its life, some of which may no longer be fit for purpose. We will see even more of this as the large number of smaller and more distributed installations (e.g. wind turbines) reach their own use-by date. How we respond as a culture to the need to re-write landscape to suit new challenges or opportunities, or calls to memorialize past ones, will have a big impact on our capacity to adapt.